ONI Bureau: Good Evening Readers! Here are the Sunday News Bulletin on Odisha, India and World by Odisha News Insight. — 4 students of a private college in Bhubaneswar go missing while taking bath in sea near Pir Jahania in Astaranga Puri; 2 students dead, 4 rescued. — The East Coast Railway (ECoR) initiates safety audit of all level crossings in its jurisdiction. — Patient killed after falling off AIIMS building in Bhubaneswar. — Malkangiri District Sports Officer Gyanendra Kumar Badhei detained by police for allegedly misbehaving with a Plus 2 girl student. — Schoolboy found hanging in Nayagarh; family alleges murder. 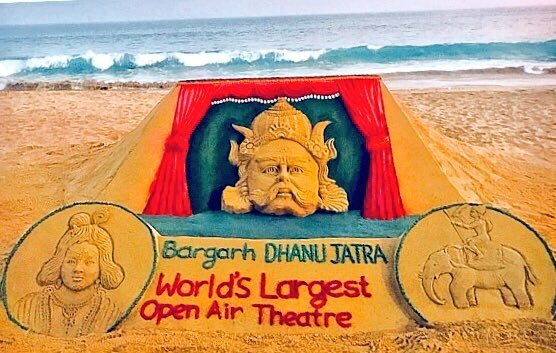 — Sudarsan Pattnaik creates sand sculpture on Bargarh Dhanu Jatra at Puri beach. — Rahul Gandhi has secret alliance with Naveen Patnaik: Former Union Minister Srikant Jena. — Amit Shah discharged from AIIMS. — 4.1 magnitude quake jolts Gujarat. — Uttarakhand: Police resort to lathi-charge after locals protesting against the killing of a youth turn violent in Vikasnagar. — Kevadiya: Vice-President M Venkaiah Naidu visits ‘Statue of Unity’ and ‘Ek Bharat Shreshtha Bharat Complex’. — Karnataka Congress legislator Anand Singh hospitalised after fight with other party MLA.